TICKETS GO ON SALE FRIDAY APRIL 5 at 10AM. LINK WILL BE POSTED IN THIS EVENT. 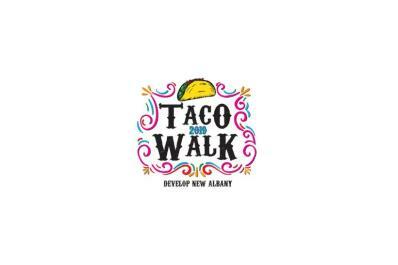 Join us in Downtown New Albany on Saturday, May 18th for the 2019 Taco Walk. Enjoy a variety of tacos created by the local restaurants, grab a beverage and be sure to stop and browse in the retail shops! This is a fun day and one you don't want to miss. There are 3 ticket packages this year. VIP TICKETS GAIN YOU EARLY ACCESS TO EVENT AT NOON. All participants can also complete a scavenger hunt of downtown New Albany to win prizes. *There are a limited number of ticket packages available and Develop New Albany will update on social media if they sell out. We cannot guarantee that there will be any tickets for sale on the day of the event. When we redesigned the T-shirts last year, we did not put a year on them so that they could be worn every year. T-shirts will be available for sale on the day of the event on a first come, as available basis. Event will be held rain or shine. Tickets are non-refundable but are transferrable.